The UK is perfectly poised geographically to offer cruise holidays to a range of destinations throughout the continent, with sailings to regions including the Mediterranean, Canary Islands, Baltic nations and the Norwegian fjords. However, given its westerly location facing out towards the Atlantic, it is also possible to embark on a series of journeys to ports located further afield. Heading towards Central America on one of the many sailings available out of ports around the UK, it is possible to reach the blissful islands of the Caribbean. Known for being home to some of the finest beaches in the world, there are few places that offer a better place to relax and soak up the sun. Plus, with most of these sailings departing throughout the colder months, you can opt to escape the winter blues in exchange for tranquillity. 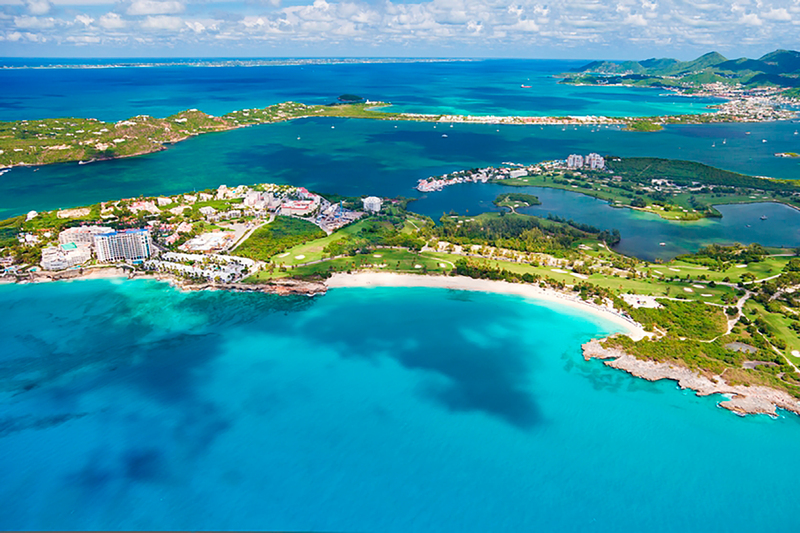 Cruises from the UK takes a look at a few of the most stunning destinations you can visit on selected Caribbean sailings out of the British Isles in 2018/19. St. Martin is one of the most interesting islands of the Caribbean, due to its status as the smallest territory to be owned by two nations. Shared between France and the Netherlands, it is likely you will dock in the Dutch part of the island – located in the south. Wherever you decide to venture during your visit, you will be glad to know you are never too far away from a beach. There are 37 situated across the island and many of them are also lined with bars, offering plenty of options for hydration during your visit. There is also abundance of shops and the occasional market offering plenty of options for a spot of retail therapy. 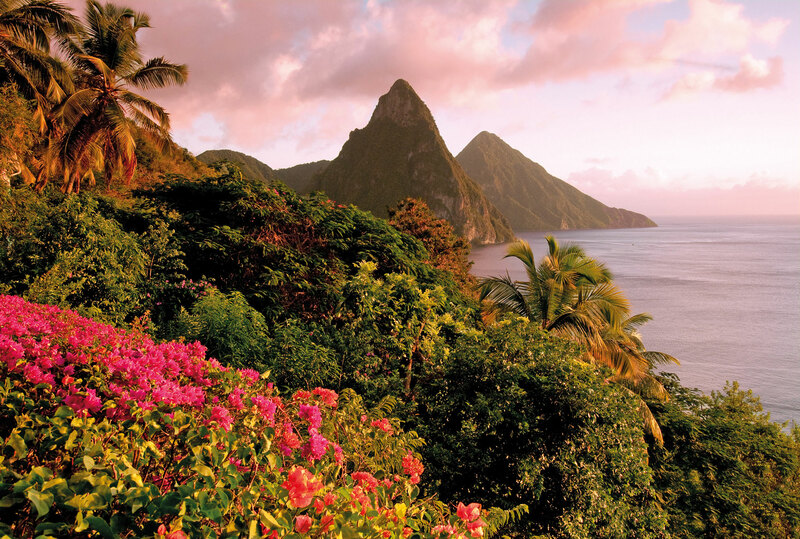 The towering pitons of St. Lucia is undoubtedly one of the most breath-taking sights you will have the opportunity to admire during your travels. Arriving at the island via the capital, Castries, there are plenty of opportunities available to suit your specific desires. As well as an abundance of beaches, there are many natural landmarks worth visiting including Black Diamond falls and the drive-through volcano at Marigot Bay. The dormant volcano of Mount Pelee has certainly made its mark on the French Caribbean island of Martinique. Many of the island’s beaches comprise of black volcanic sands, which offer a place to relax and soak up the Caribbean atmosphere. Travel further afield, however, and you will discover an abundance of lush-green rainforests. Being a French island, you will find many shops selling luxury imports including perfumes, fashion items and wines. You will also find an abundance of spices and rum products which are made solely on the island. In addition to the Caribbean, a cruise from the UK offers an opportunity to visit other far-flung destinations including New York and the Arabian Peninsula. For more information or to make a booking, contact Cruises from the UK via the freephone number above or complete the online enquiry form.